A friend of Kerr's gave him the idea of releasing an LP himself, and in March 1983 the big moment had arrived! 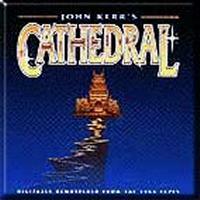 Kerr ordered 1000 copies of "Cathedral", and a friend, Robert Moens, promoted it for him in The Netherlands. The KRO-TV played Kerr's music just a few hours after they had received the record! A few days later, the Dutch radio program "Popstation - NCRV" gave it a rave review. A Dutch Airline, Air Holland, used the title "I'm on my Way" on their 'Inflight Entertainment' music channel.